Being able to keep track of the performance of students is one of the most important aspects of being a teacher. This is because it allows for a student to know how they are doing, and it can also act as a reward for good performance. One of the best ways to do this is with the use of this grade sheet for teachers. This grade sheet for teachers can be downloaded inside of a couple of seconds, and it is complete free to do so. 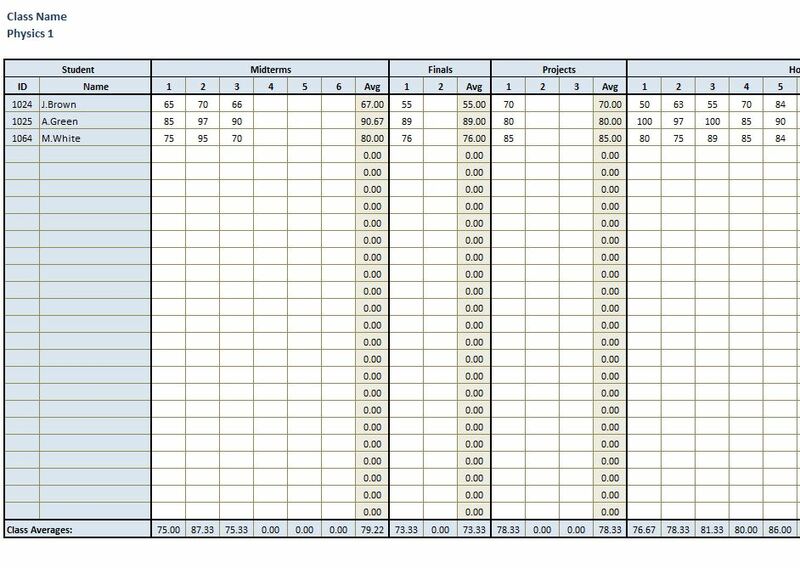 One excellent thing about this grade sheet is that it allows you to give your student’s parents a sheet that students can’t duplicate, and it is also possible to customize it for each one of your students. The great thing about this grade sheet for teachers is that it can be formatted to reflect the exact items that are covered in the class. It is possible the change the grade sheet so that it has every single piece of homework that is covered in the class. This means that students can know if they have missed an assignment, and they can also pick out the items they did poorly on. It can also help to resolve problems if students happen to not understand why their grade is where it is at, and it can help a teacher to come up with a plan for a student to improve their grade. It is possible to change the grade sheet so that it has the students name, contact information, and their results on particular assignments printed right on it. This can greatly decrease the amount of time a teacher has to spend making the grade sheets. The grade sheet comes with a function that can automatically add up all of the test scores on the sheet. It can display the total amount of scores, and it can also automatically add up a percentage score for the student’s grades.